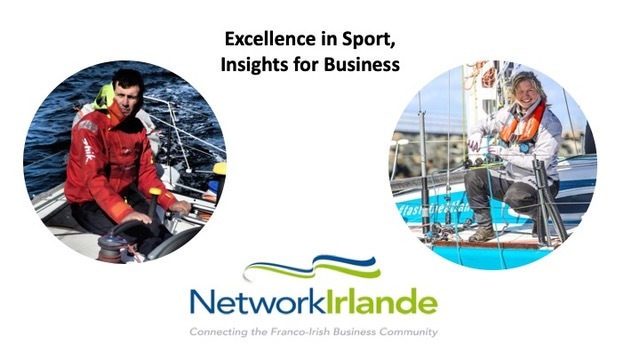 On the evening of Thursday, March 14, NetworkIrlande members were invited by H.E. 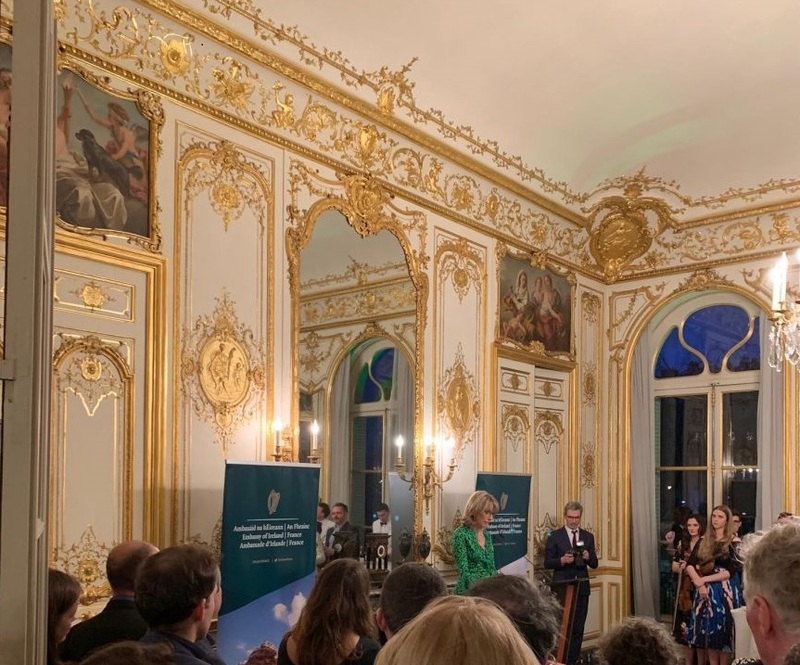 Patricia O'Brien, Honorary President of NetworkIrlande, for the official St Patrick's Day reception. 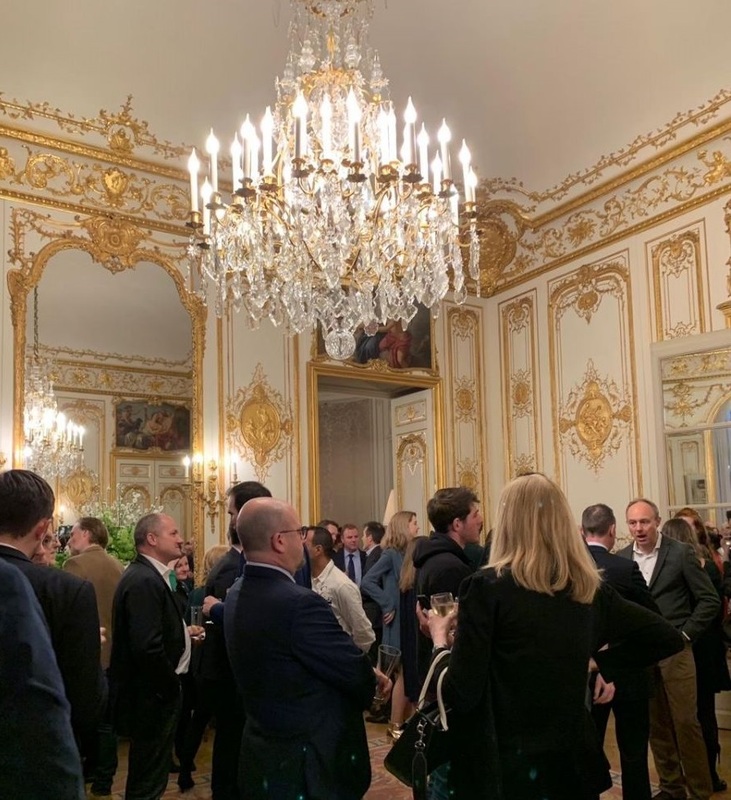 This evening was an opportunity for NetworkIrlande members to get together and meet other members of the Irish diaspora in France in an exceptional setting led by violists and a harpist of great qualities. 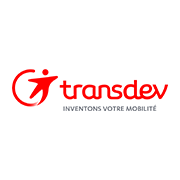 On Friday 15 March, Pari Roller went green with Irish Tourism to promote the Greenings operation. 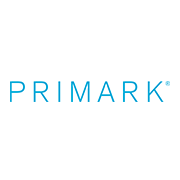 A green human wave left Montparnasse and passed in front of most of the most beautiful Parisian icons, from Saint-Germain-des Prés to Pont de Sully, from l'Hôtel de Ville to l'Opéra, via Champs-Elysées, Avenue Montaigne, the quays or the Pont de l'Alma. 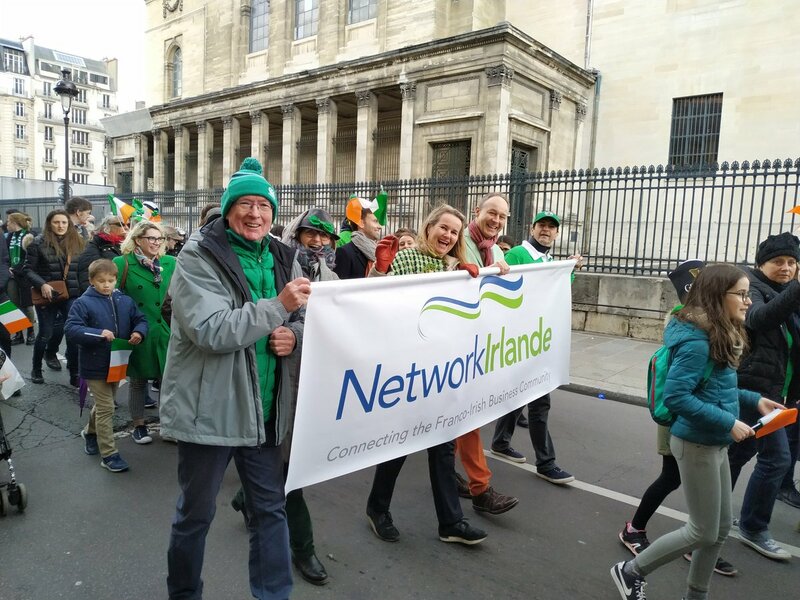 On Sunday 17 March, Irish in France and the Centre Culturel Irlandais organised for the second time the Saint Patrick's Day Parade in Paris, which brought together more than 300 people. H.E. Patricia O'Brien & Minister John Halligan led the parade. 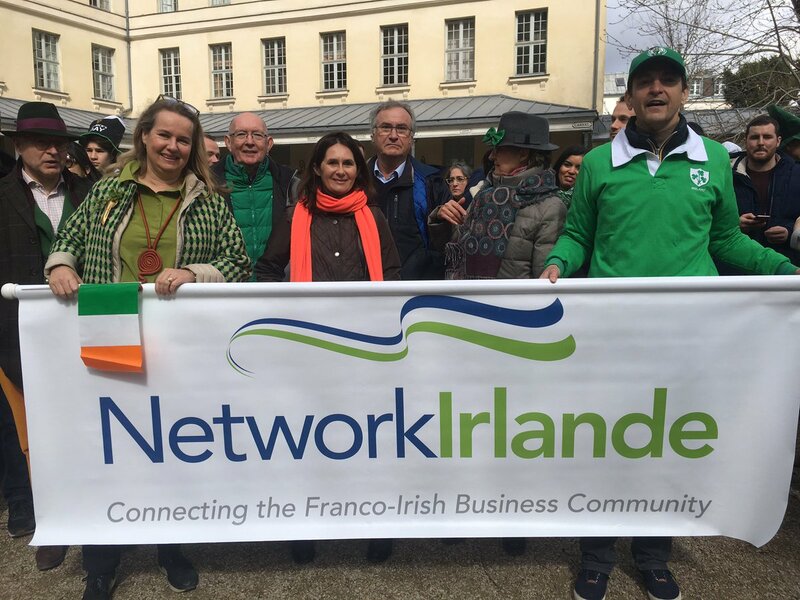 NetworkIrlande was well represented with a large number of members who were led by Richard Dujardin (President of NetworkIrlande).